5 Not So Famous Treks Around Delhi Which Are Easily Doable in 4 Days or Less! When it comes to keeping fit, there’s no dearth of options in metro cities. They are full of these fancy gyms, Pilates & Zumba studios, MMA classes and what not! But how often do we think keeping fit not being enclosed in a room, but in the lap of nature? Let’s say, a trek! Treks are not only a great way to keep fit, but they are the best way to see the natural beauty around, first hand. Especially for Delhiites, there are a couple of breathtakingly beautiful trekking options, but sadly, not many of us explore them. Well Delhi, it’s time we change that! 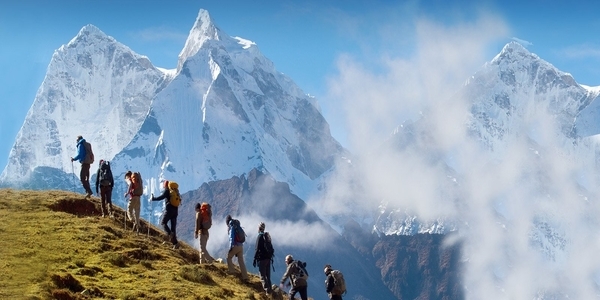 Of course, when it comes to treks in North India, especially Himalayas, be assured that it’s going to be simply stunning. Nag Tibba is definitely one of those treks. A little less than 10,000 feet above the sea level, this trek is still relatively lesser known and easily doable for someone from Delhi. The trek begins from Panthwari village which is 85 km from Dehradun. The next stop is is usually Khaitan and then the Nag Tibba summit itself. The trek is easily doable from Delhi over two days, and on your way there, you’ll be privy to gorgeous, scenic views of Kedarnath, Gangotri, Bandarpoonchh and more. Located at the Garhwal Himalayas, in the middle of Kullu district in Himachal Pradesh, Bhrigu lake trek is a vision for everybody who’s in love with snow-capped mountains! Delhiites can easily each Kullu via road or flight (Bhuntar airport). 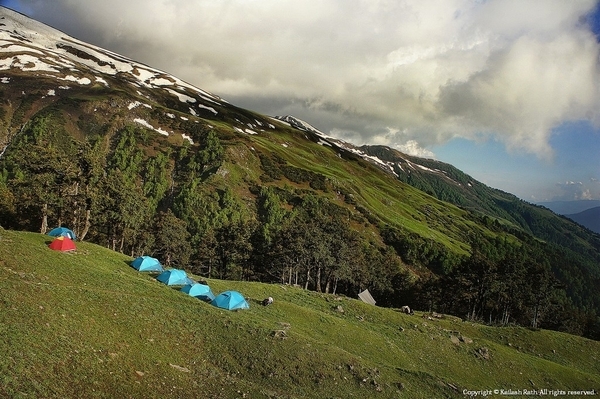 At an altitude of 14,000 ft, the trek starts at Gulaba village, from Gulaba to Roli Kholi and finally to Bhrigu lake. On your way there, you’ll get to see’Deo Tibba, Hanuman Tibba, Seven Sister peaks, mountain wildlife, water streams, fruit orchards, old villages and more beauty! 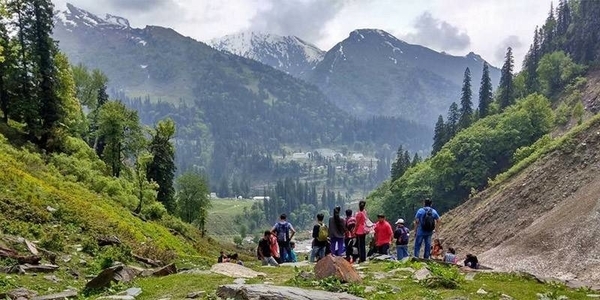 Located in Mandi, Himachal Pradesh here’s another easy trek for Delhiites, which is doable over a span of only two days. This one is also located in the Kully valley and stars from the tiny, yet beautiful village called Baggi. From there, Prashar lake is only 9 km and you can cross the distance comfortably in 4-5 hours. While on the trek, you’ll get to witness the supremely beautiful view of Dhauladhar, Pir Panjal and Kinnaur mountain ranges. Sitting mightily at 324 feet above the sea level, Indrahar Pass Trek is yet another quick and relatively easier treks. 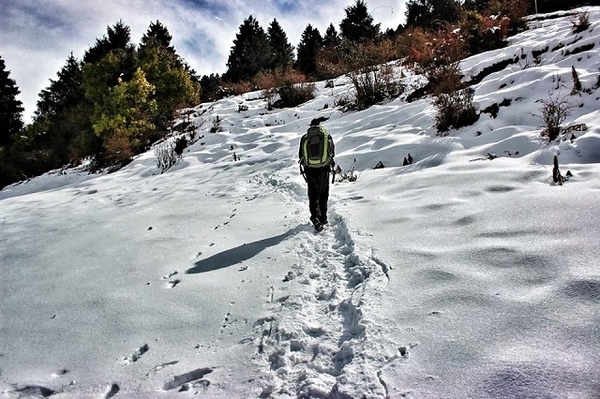 Located near Dharamshala, at the Dhauladhar range of mountains, this trek would also make sure that you get to witness some of the most picturesque sights. 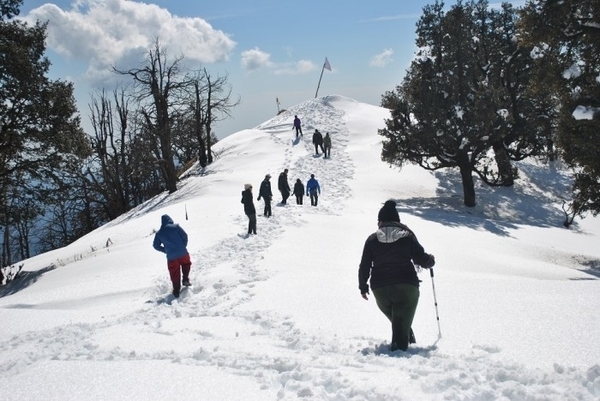 The trek starts at McLeod Ganj, which is easily reachable for all Delhiites. After covering Triund, Ilaqa Got, breathtaking Lahesh Caves, you’ll finally reach the summit at Indrahar Pass trek. 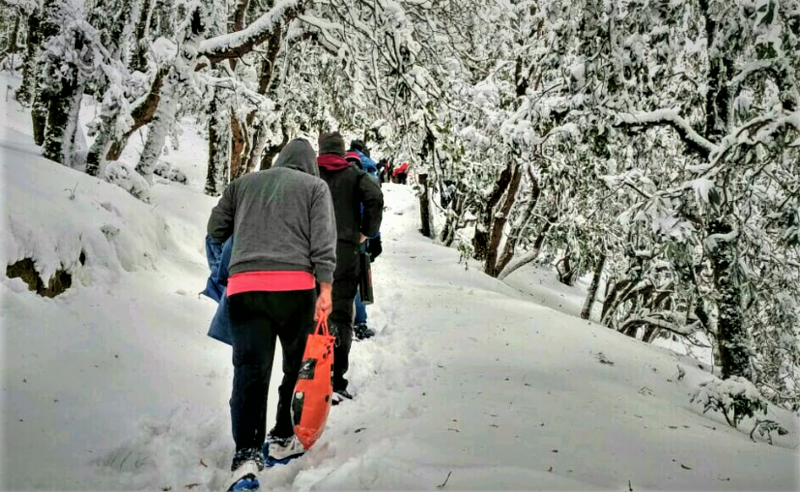 This is one of easiest treks in the Himalayan region, so, if you are someone who’s not had much experience with trekking, this is a safe bet. At just 3050 metres above the sea level, Kheer Ganga trek is pretty close to Kasol, which is again easily reachable from Delhi. The trek starts at Manikaran Barshaini, and Kheer Ganga is only about 12 km from here, which is doable in 6 hours for a fit person. At the summit, don’t forget to take a dip into the hot water springs of Parvati Kund, which is also known to have therapeutic properties.